5 Bedroom Detached House For Sale in Ashford for Guide Price £550,000. Mann are excited to welcome to the market an attractive older style five bedroom detached house situated in Kennington. Located in the highly desirable area of Kennington allowing good access to local amenities, M20, Junction 10 and Ashford International Train Station. This property is also within walking distance to Towers School. The accommodation comprises a spacious lounge and a separate dining room both with original fireplaces, a kitchen breakfast room, a utility room and a shower room to the ground floor. On the first floor there are two double bedrooms both with en-suite shower rooms and a single bedroom. The second floor consists of two further double bedrooms and a family bathroom. 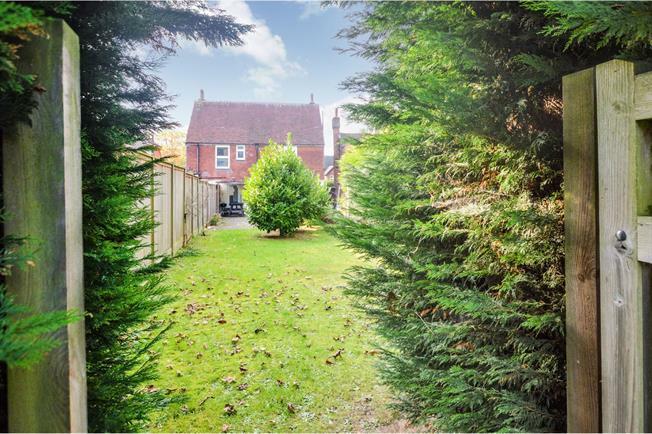 There is a large garden to the rear offering potential to develop. Contact branch to arrange your viewing TODAY!! Double glazed uPVC bay window. Radiator and electric heater, laminate flooring, chimney breast, ceiling light. Composite work surface, built-in and fitted units, stainless steel sink, integrated oven, integrated, gas hob, overhead extractor. Double glazed uPVC bay window. Radiator, laminate flooring, chimney breast, ceiling light. Composite work surface, built-in and fitted units, stainless steel sink. Double bedroom; radiator, laminate flooring, ceiling light. Tiled flooring, tiled walls, ceiling light. Standard WC, double enclosure shower, pedestal sink. Radiator, vinyl flooring. Standard WC, corner shower, pedestal sink. Radiator, tiled walls. Standard WC, single enclosure shower, pedestal sink. Single bedroom; radiator, laminate flooring, ceiling light. Radiator, tiled flooring, tiled walls. Standard WC, panelled bath, pedestal sink.